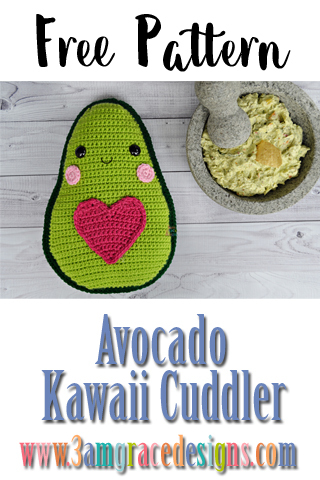 We’re excited to bring you our free crochet pattern for this adorable Avocado Kawaii Cuddler. We’ve included the pattern for a heart center or the traditional pit center. 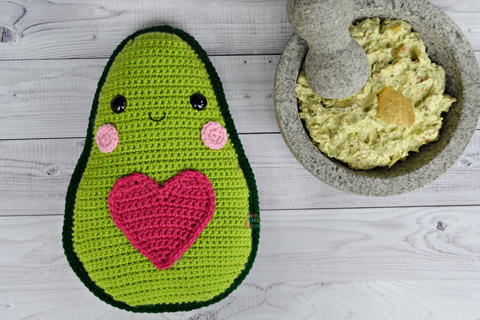 We hope you enjoy making your very own Avocado! We can’t wait to see your creativity. When you complete one, please post it in our Facebook group or tag us on Instagram #3amgracedesigns. We love seeing your work! SC around entire edge of Avocado for a finished look. Join & FO. Weave in ends. Round 1 – With Forest Green, slip stitch to Avocado and SC around edge of panel. Join to starting SC. Round 2 – SC around edge of panel. Join, FO, & Weave in ends. FO, Weave in ends. Flip piece over horizontally and repeat Rows 13-17 for the opposite bump of Heart. SC around entire edge of Heart for a finished look. Join & FO. Leave long tail for sewing. SC around entire edge of Pit for a finished look. Join & FO. Leave long tail for sewing. 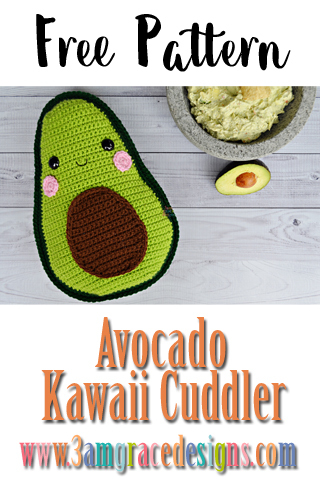 * Place safety eyes between Rows 15 & 16 of Avocado, roughly 20 stitches apart. * Sew or glue Cheeks and Heart and Pit in desired locations. 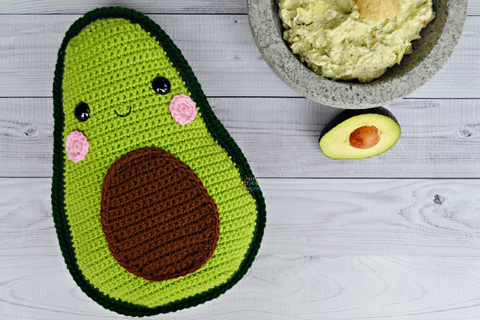 * Align Avocado halves so ends of rows match. SC around both pieces to join together. Stuff with Poly-Fil prior to completing stitching. Make sure you work in a counter-clockwise direction so your stitches face forward. Love it, made mine’s with Brown heart. Awesome! If you’re in our Facebook group, please share. We love to see them! Another great pattern. I whipped one up yesterday. 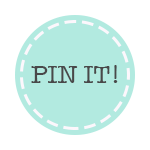 I added it to the patterns projects on Rav, and shared it in your group. Thank you!